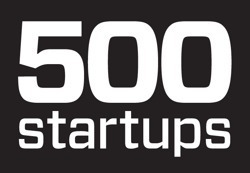 500 Startups is an early-stage seed fund and incubator program located in Mountain View, CA. They invest primarily in consumer & SMB internet startups, and related web infrastructure services. Their initial investment size is typically $25K-$250K. 500 Startups was featured in a VatorNews article: "Real estate investors: here's why we're excited by this space!" George Kellerman confirmed SimplifiMed, Inc. as an investment. was added as an investor on SimplifiMed. George Kellerman confirmed REALITEER Corp. as an investment. was added as an investor on REALITEER Corp..
500 Startups was featured in a VatorNews article: "Meet Elizabeth Galbut, Founding Partner at SoGal Ventures"
500 Startups was featured in a VatorNews article: "Your guide to accelerators focused on the healthcare space!" 500 Startups was featured in a VatorNews article: "Video: Rebecca Woodcock at Vator Splash Health 2017"
500 Startups was featured in a VatorNews article: "What digital health sectors are hot and which are overhyped?" 500 Startups was featured in a VatorNews article: "Personalized medicine? We still have a long way to go"
was added as an investor on Aingel. 500 Startups was featured in a VatorNews article: "Daily funding roundup - April 7, 2016"
500 Startups was featured in a VatorNews article: "Daily funding roundup - April 5, 2016"
500 Startups was featured in a VatorNews article: "Daily funding roundup - March 16, 2016"
500 Startups was featured in a VatorNews article: "Daily funding roundup - March 2, 2016"
500 Startups was featured in a VatorNews article: "500 Startups is most active in early stage investments"
George Kellerman confirmed Saint Harridan, Inc. as an investment. was added as an investor on Saint Harridan, Inc..
500 Startups was featured in a VatorNews article: "Daily funding roundup - February 3, 2016"
500 Startups was featured in a VatorNews article: "Daily funding roundup - February 1, 2016"